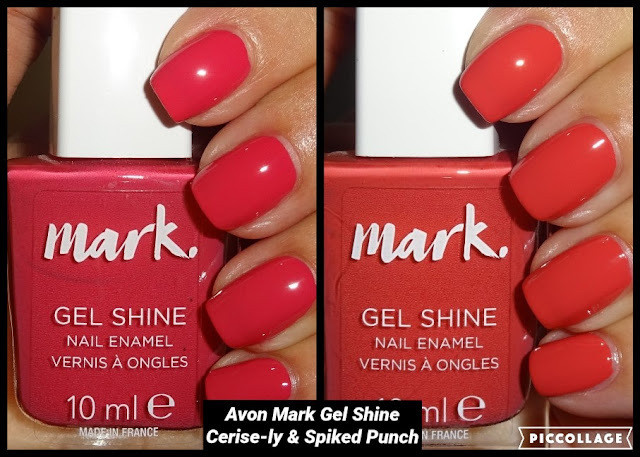 Here's a couple of lovely shades from the Avon Mark Gel Shine Range. Cerise-ly, a bright warm pink and Spiked Punch, a gorgeous autumnal tone. And what's even better is they are currently in the Avon Brochure 16 Sale Leaflet (UK) for £2.50 each!